Hootsuite is an incredibly powerful social media management tool that I’ve used on a daily basis for clients for years. 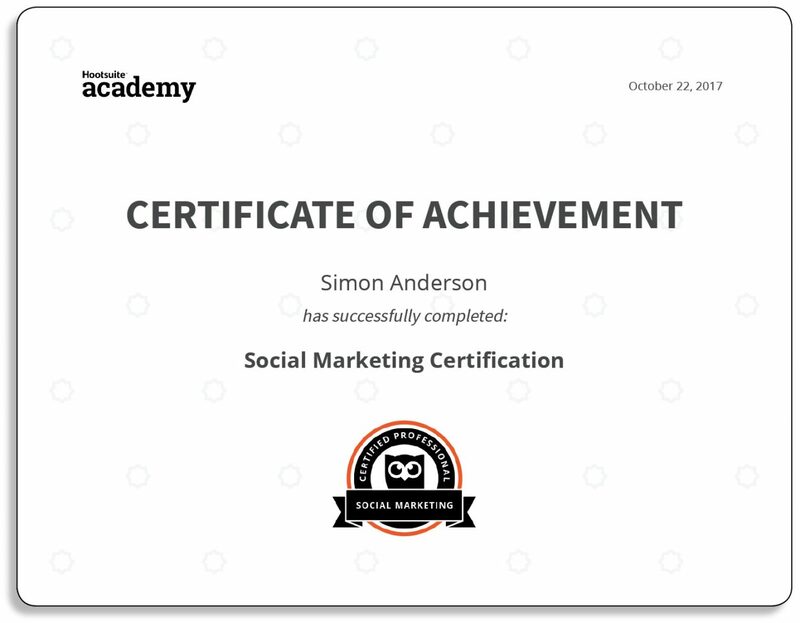 I recently attained Hootsuite Academy’s industry-recognised social media certification. The official blurb says “The Social Marketing Certification indicates competency and proficiency in the tactical applications of the essential elements of social marketing, including social media strategy, community building, content marketing and social media advertising.” I’ll take that.